The Lightning port is not going anywhere as Apple benefits from huge economies of scale by selling the same accessories for generations. The 2019 iPhones will reportedly stick to the same Lightning Port. Apple will also reportedly ship the same 5W charger in the box. The move is being seen as a cost-saving feature for Apple. While Apple is revamping the iPhone design in 2019 with a triple-camera setup, a new report claims the company will continue to ship iPhones with the Lightning port instead of the rumoured switch to USB-C. Apple will also bundle the same 5W charger and the USB-A to Lightning cable in the box of the upcoming iPhones. The report done by Japanese site Macotakara states that move is a cost-saving measure by Apple. The Lightning port is not going anywhere as Apple benefits from huge economies of scale by selling the same accessories for generations. If customers want to charge their iPhones, they will have to separately buy the 12W iPad charger or other third-party fast chargers. Apple will also bundle the same Lightning EarPods with the 2019 iPhones. It does sound disappointing after the company was rumoured to switch to a standardised USB-C port with support for fast charging out of the box. Apple even came out with an 18W fast charger for the 2018 iPad Pro, raising hopes for iPhone users as well. The iPhone XS Max that Apple launched in 2018 has the largest battery ever seen on an iPhone. With battery capacities increasing, sticking to the same 5W charger might not be a good idea as the iPhones now take longer to charge to 100 percent. The 2019 iPhones are still some time away, but leaked renders of the phones have already created quite a stir. The company is still planning to launch three new iPhones this year. 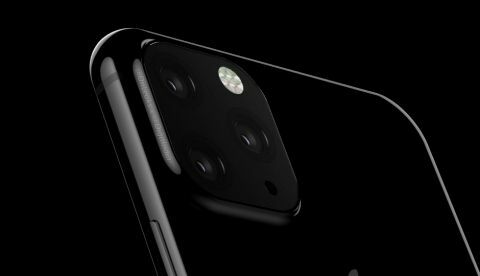 The top-most variant, likely the iPhone XI Max will house a triple camera setup arranged in a square module on the back. One of the sensors is reportedly a ToF sensor to improve portrait photos and AR. Other reports also claimed the 2019 iPhones will have the same frontal design as its predecessors. That means the notch on the top of the display isn’t going anywhere, even as Android OEMs are increasingly finding a way around the horrible design choice with punch-hole cameras, waterdrop notches and mechanical cameras. Now that it’s known Apple is not planning to improve the iPhone accessories ecosystem with better out-of-the-box accessories, it remains to be seen how the 2019 iPhones manages to captivate the market once again. It’s important for Apple to do so, as 2018 marked the first time that Apple admitted iPhone sales were below what they expected. The company even slashed the price of the iPhone XR in many markets and started buyback programmes to boost sales.